Walking up to Excalibur Family Entertainment Center filled us with a level of excitement that was perfectly mirrored in the faces of our children. The building, designed to resemble a castle from the time of King Arthur, stands impressively surrounded by thick trees on the outskirts of West Monroe, LA. 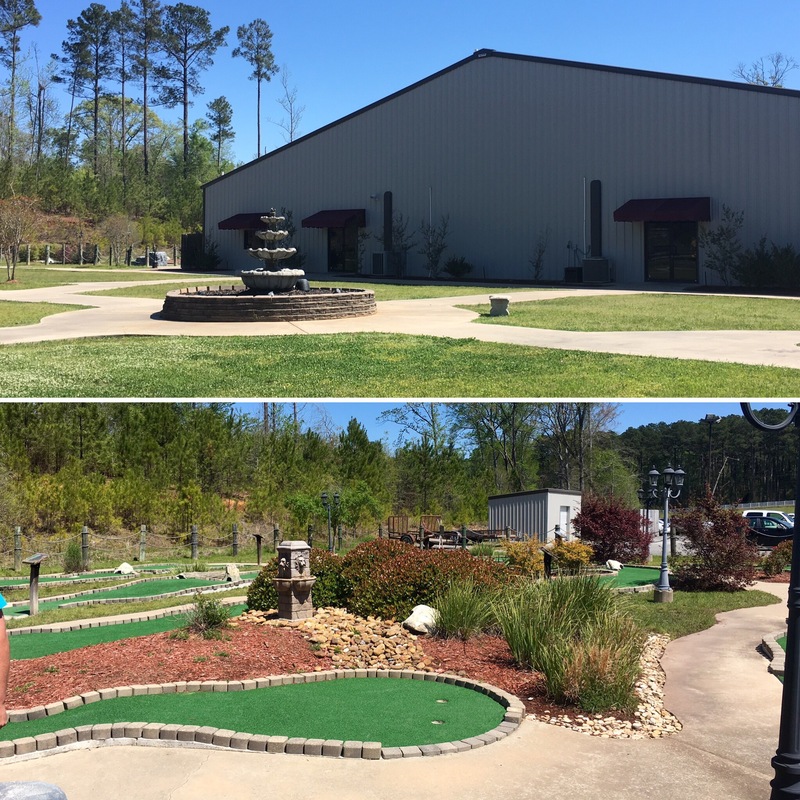 Featuring seven major activities and a large arcade, there is fun to be had for everyone in the family! 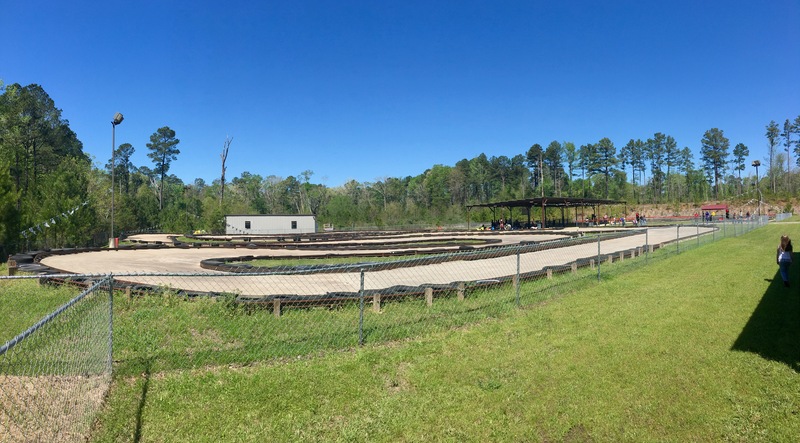 On the back side of the property there are three types of go-karts: youth, bumper, and adult. 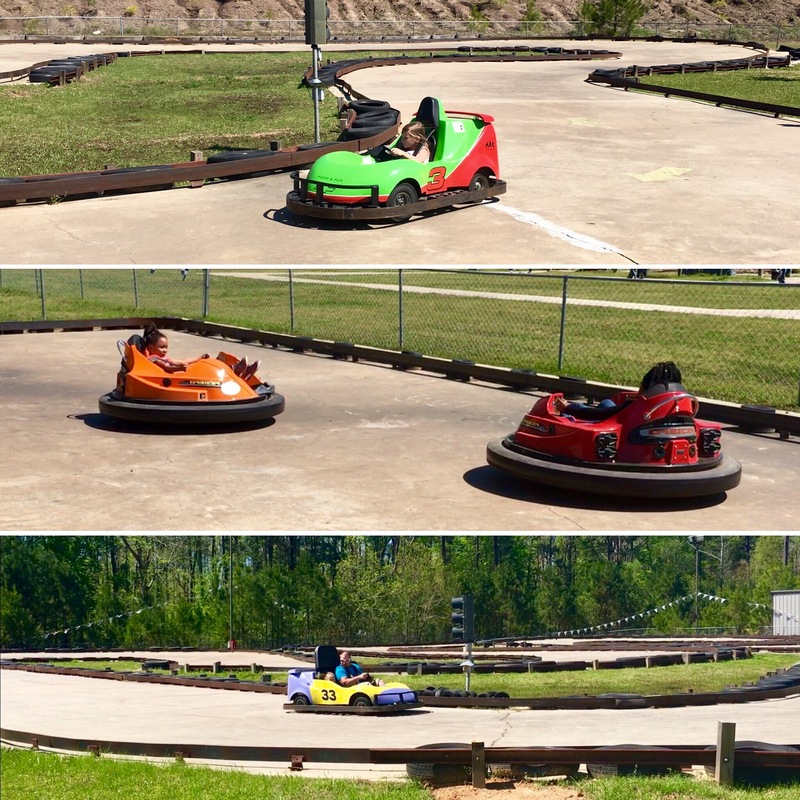 I would have to say our family loved the laser/bumper go-karts the most and the kids thought it was hilarious how they could shoot the cars making them spin around in circles. The oldest little loved her solo trip on the youth karts while our middle got to have a blast riding around with The Mister. To the left of the go-kart path is a big pavilion for outdoor parties and also the batting cages. 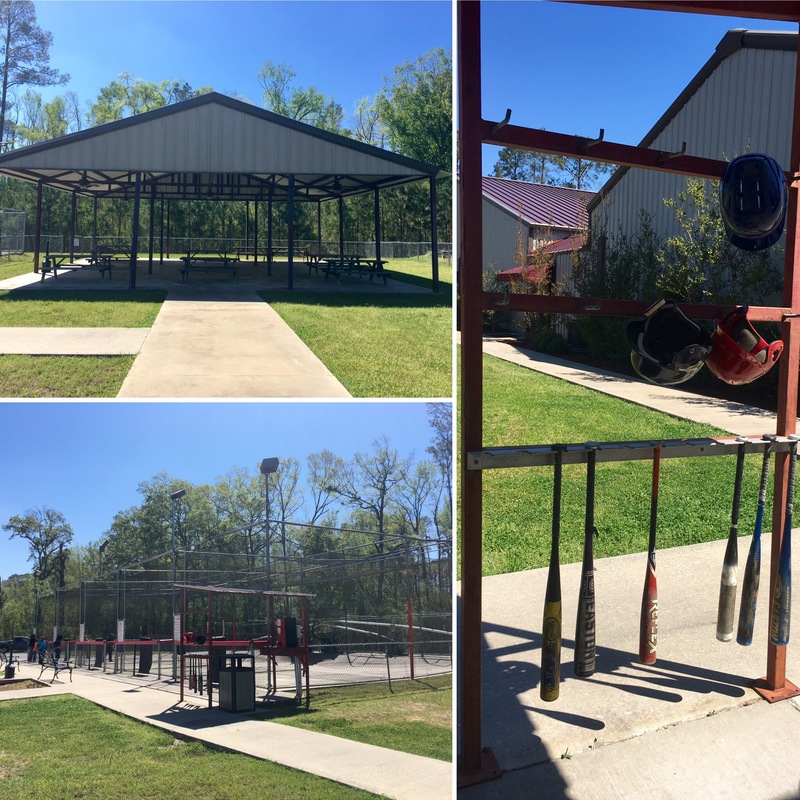 Available for use are bats and helmets of various sizes all laid out or hung up on an easy to navigate rack. We didn’t feel comfortable sending any of our littles into the cages but we did get to watch a church group swing a few rounds. Those kids had so much fun! Being a baseball fan, it made my heart smile seeing them enjoy such a simple pastime. 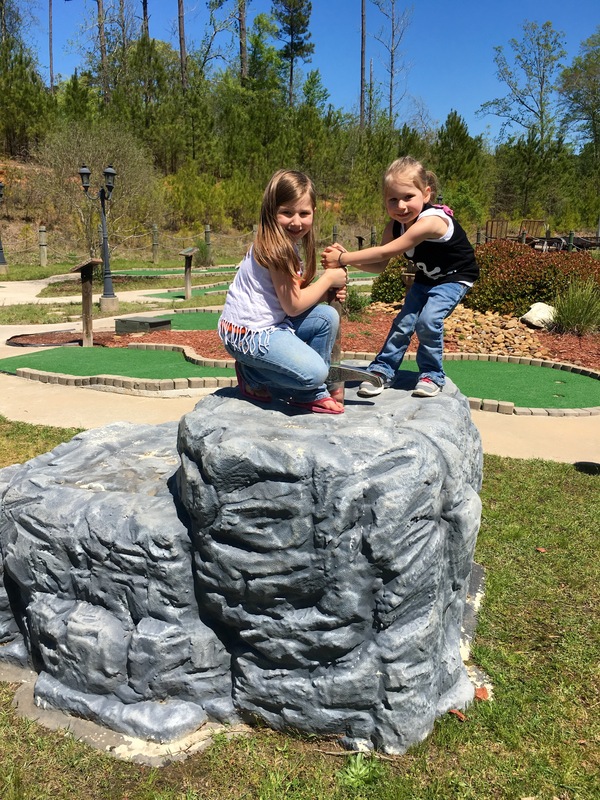 Back inside, Excalibur Family Entertainment Center offers a full arcade, a play gym, a 24′ rock climbing wall, four party rooms for special events, and a laser tag arena. 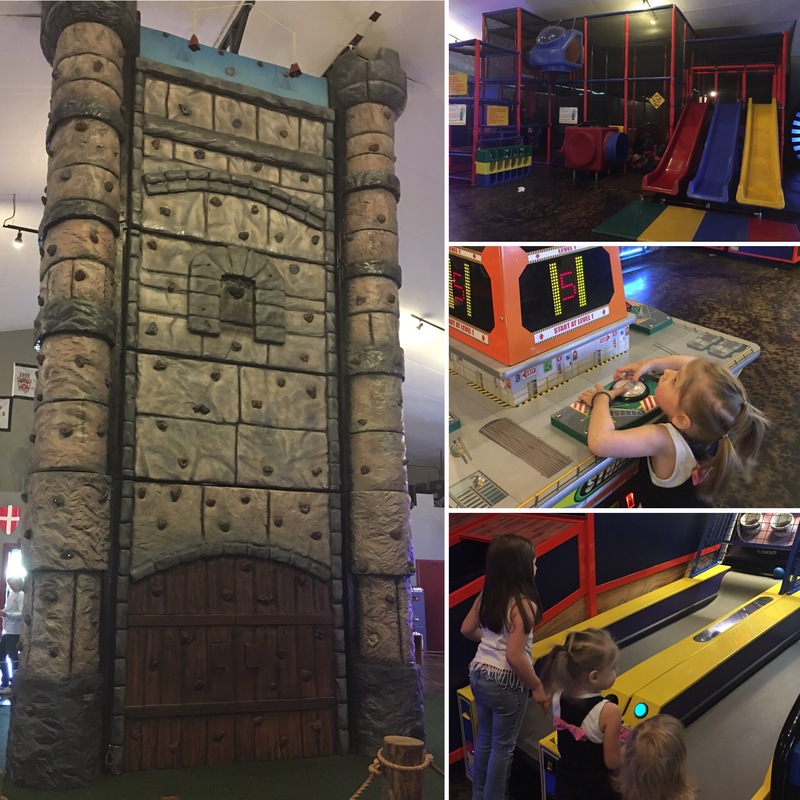 The arcade includes both video and skill games including ones that award tickets to be traded in for prizes while the play gym and rock wall are great distractions while waiting for pizza to be delivered. Speaking of pizza, theirs is amazing! 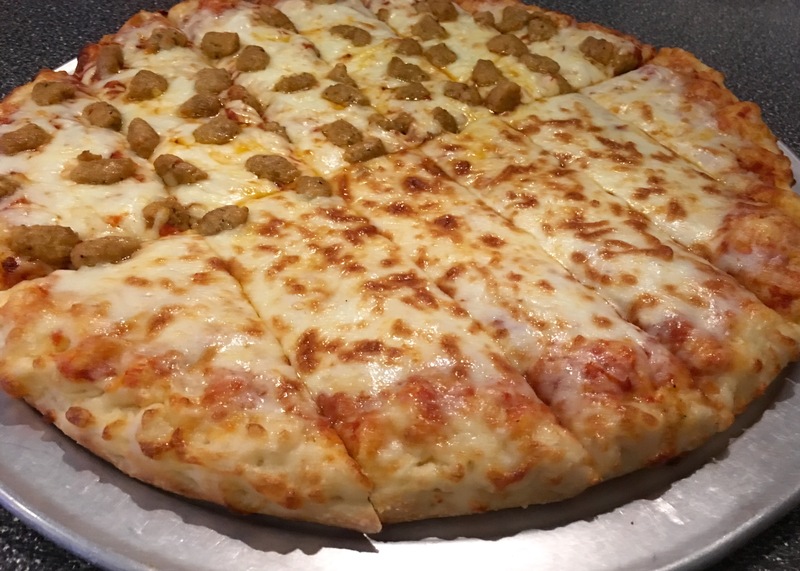 We had never had pizza that delicious without it being homemade, especially at a family entertainment center. Featuring light and fluffy crust with a splash of sauce and piled high with cheese, it was the perfect lunch for a family focused outing! 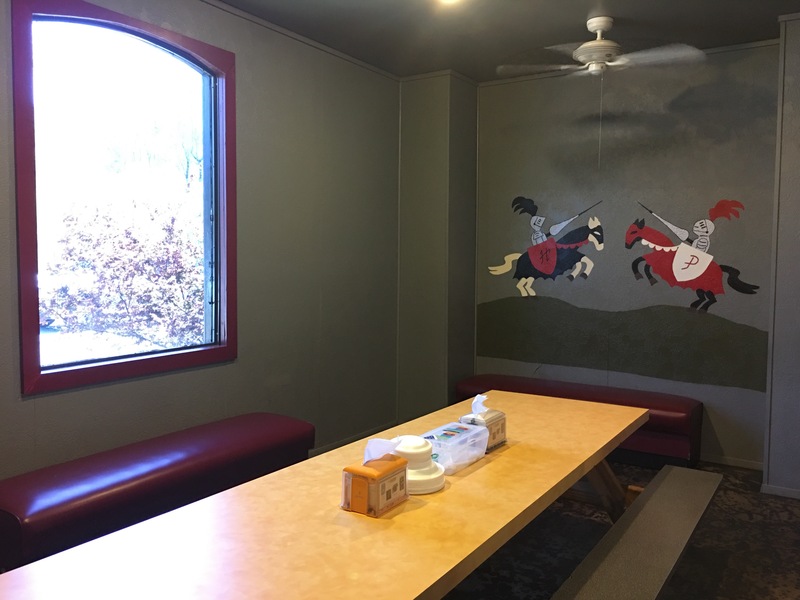 The four party rooms are available by reservation as part of their birthday party package. They can each comfortably fit up to 16 kids and all tie back into the Excalibur theme which is super fun! The parties are all setup for 10 guests but there is no charge for additional children. Instead, they offer the option to add on extra passes and tickets as desired which allows more freedom than having to pay per attendee. We thought it was a great idea and this freedom definitely sets Excalibur Family Entertainment Center apart from similar venues. 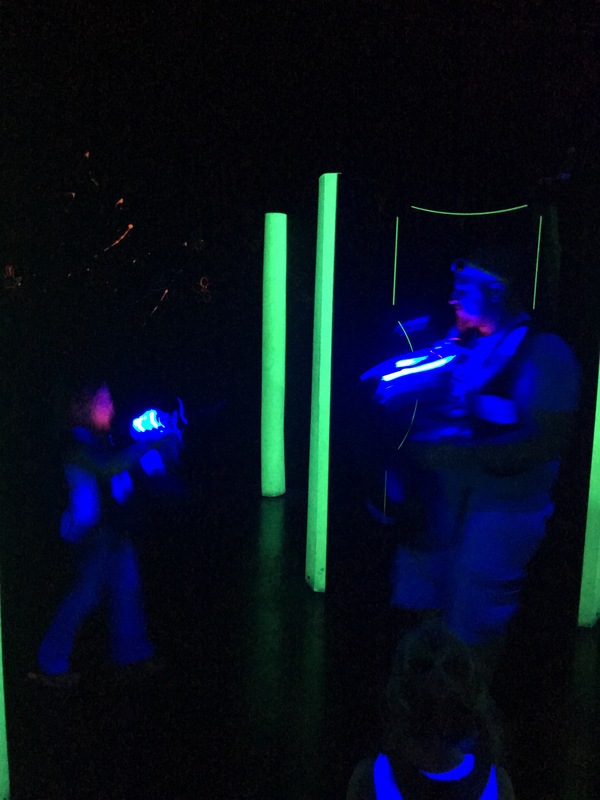 Stepping over into their Lazer Runner arena was like stepping into a whole new world. 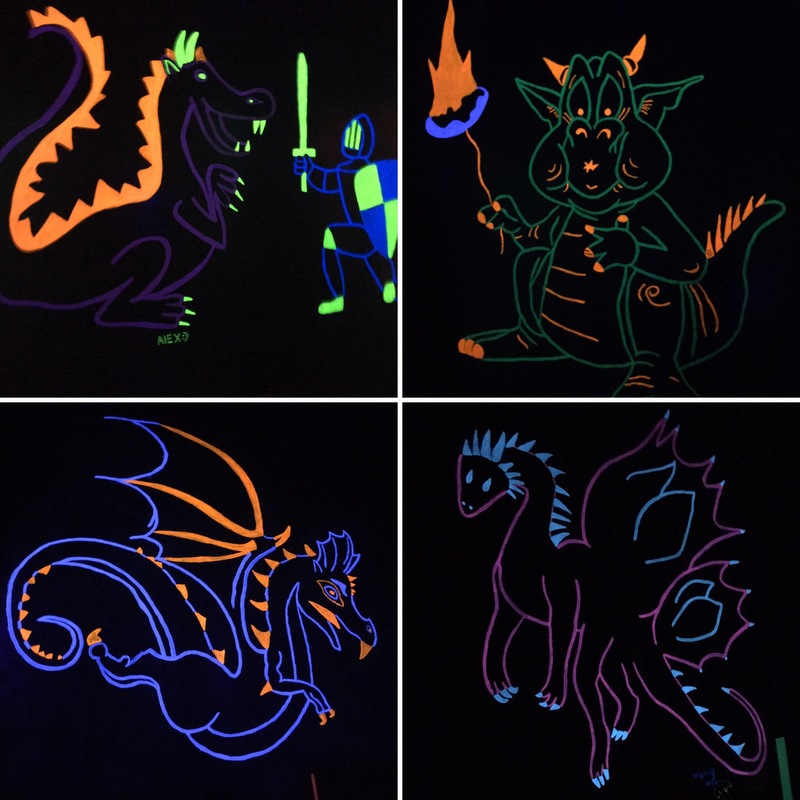 Built to resemble a dark castle, the inside walls are all decorated with glowing dragons! The vests were a bit heavy for our littles but they still had a blast running around trying to tag The Mister as many times as they could. They make a pretty good team when they pair up against him! Overall, our trip was fun and very memorable. The five year old is still chattering away about the venue and we would love to go back one day. 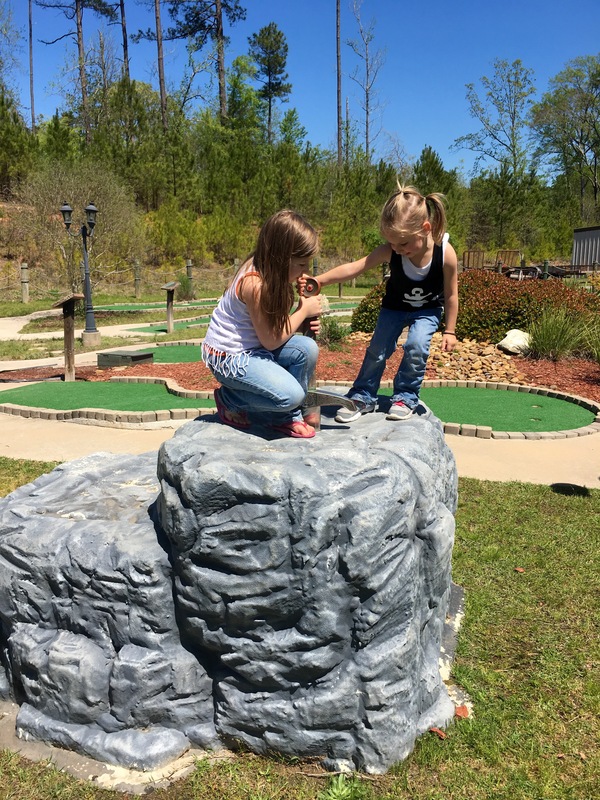 It’s always refreshing to find little gems hidden within small towns and that is exactly what Excalibur Family Entertainment Center in West Monroe, LA is. I highly recommend stopping in for a day of fun if you’re in the area! Who knows, maybe you’ll even pull the sword from the stone and be the next King! Planning a trip to West Monroe, LA soon? Be sure to check out our review of our visit to Duck Commander Headquarters!